When you start ProgeCAD, the program automatically creates a new drawing based on a template drawing, icad.dwg. This template includes predefined settings such as drawing units, text size, and drawing area. You can either use these settings or change them according to your needs. There is nothing unique about a template drawing. You can use any drawing as a template for future drawings. You can save many steps by basing a new drawing on an existing template. By doing this, a new drawing will contain all the settings and entities you need. When you open a new drawing from your custom template, you can modify existing settings and delete any entities that you donâ€™t need. â€¢ Choose File > New. â€¢ Type newwiz and then press Enter. 2 Click Use A Template Drawing, and then click Next. 3 To display the Open Template dialog box, click Browse. – Has SolidWorks ever corrupted your files? – Do you think SolidWorks spends enough time testing their software before they release it? – What is your biggest frustration with SolidWorks in terms of product quality and performance? – 25% of users find SolidWorks software slow when working with large assemblies. – 18% find that SolidWorks crashes too often. – 17% have experienced data loss when importing and exporting DWG file to or from SolidWorks. – 15% have had SolidWorks corrupt files. – 71% think SolidWorks does not spend enough time testing their software before they release it. – 21% rely on AutoCAD or DWG-based products to finish some drawings. The responses to the last questions (biggest frustration) are not listed. Also missing: the total number of responses. And, we don’t know the number of faked responses, such as the ones I entered just to see the results. CAD drawings help you organize information for greater efficiency. With ProgeCADÂ®, you can draw entities representing different types of information on various layers and use those layers to control color, linetype, and visibility. ProgeCAD also includes drawing aids that help you draw accurately. Some map image sources provide georeferenced raster files. They are simply an image created with a corresponding reference file which stores the proper position (coordinates) and scale of the image. If you have AutoCAD Map you can scale images based on this information but a free AAC Solutions utility also makes this possible in AutoCAD/ADT. With the AAC Solutions’ utility – GeoRefImg – you can automatically place georeferenced raster files (pictures) also in AutoCAD or Architectural Desktop (this functionality is by default available only in Map). 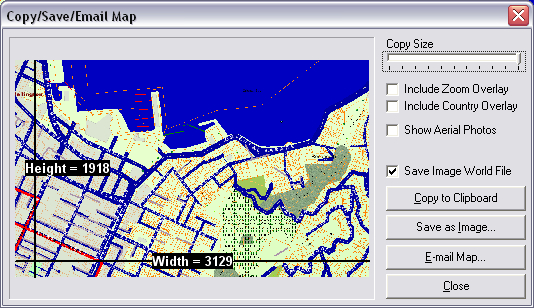 Any selected raster image (TIF, JPG, PNG, BMP, CIT format) with a World file is automatically repositioned to its proper position (coordinates) and scale. The result is a “TumonzMap.bmp” image and “TumonzMap.bpw” reference file. Always keep these in the same folder. You can export several images at different scales/resolutions, maybe to show area overview and lot detail. 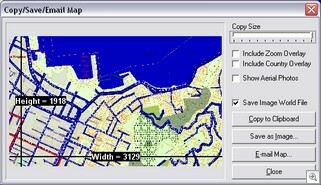 Command: GEOREFIMG then select image(s) to position. This is great for location maps as you can quickly get an accurate scale map of anywhere in the country. ProgeCAD includes online Help. It contains some information that does not appear in this book, including a programming language reference. â€¢ On the Standard toolbar, click Help. â€¢ Choose a command from the Help menu. â€¢ Click the question mark in a dialog box. â€¢ Type help in the command bar. You can tailor many aspects of ProgeCAD to better suit your needs. For example, you can easily create and modify toolbars by simply dragging and dropping icons. ProgeCAD stores your customized settings in the Windows registry rather than in a separate file. ProgeCAD supports the most important AutoCAD customization files, including linetypes, hatch patterns, text fonts, the unit conversion file, menus, toolbars, and aliases. In addition, ProgeCAD unifies four AutoCAD customization functions with a single customize command: command aliases, keyboard shortcuts, menus, and toolbars. You can also add custom programs written in any of several programming languages, including LISP (the programâ€™s Autodesk AutoLISP-compatible language), SDS (the programâ€™s Autodesk ADS-compatible language), and Microsoft Visual Basic for Applications (VBA). ProgeCAD tracks the commands you use and the changes you make. If you change your mind or make a mistake, you can undo, or reverse, the last action or several previous actions. You can also redo any actions that you reversed. You can undo multiple actions by typing undo and specifying the number of actions to undo.